I had hoped that by now most adults in this country would have completed an advance directive for medical care and assigned someone they trusted to represent their wishes if and when they are unable to speak for themselves. Alas, at last count, barely more than one-third have done so, with the rest of Americans leaving it up to the medical profession and ill-prepared family members to decide when and how to provide life-prolonging treatments. But even the many who, like me, have done due diligence — completed the appropriate forms, selected a health care agent and expressed their wishes to whoever may have to make medical decisions for them — may not realize that the documents typically do not cover a likely scenario for one of the leading causes of death in this country: dementia. Missing in standard documents, for example, are specific instructions about providing food and drink by hand as opposed to through a tube. Advanced dementia, including Alzheimer’s disease, is the sixth leading cause of death overall in the United States. It is the fifth leading cause for people over 65, and the third for those over 85. 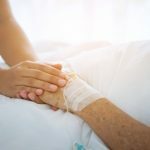 Yet once the disease approaches its terminal stages, patients are unable to communicate their desires for or against life-prolonging therapies, some of which can actually make their last days more painful and hasten their demise.